On Aug 8, 2018, the "Fynshav" diverted from its route between Bøjden and Fynshav to a capsized sailing ship. Both a rescue helicopter and the fery were routed to the scene in the afternoon after an emergency flare was observed. The two people on the sailboat, a 66-year-old man and a 61-year-old woman, were surprised by heavy winds and capsized in a gust off Asserballe at Als. Alarm was raised at 3:43 p.m., and the two people were finally saved by a private boat. 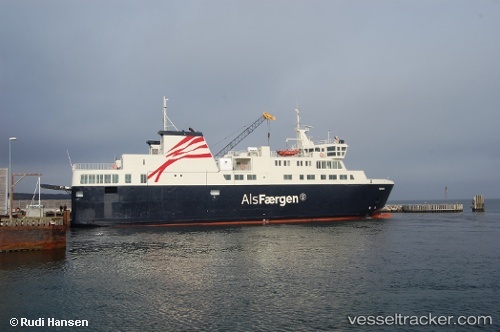 A mechanical problem on the "Fynshav" meant a cancellation of the sailing on Aug 24, 2015, from Funen. A spare part had to be transported from Frederikshavn to Bøjden first. This meant that in strong winds the "Frigg Sydfyen" which was also sailing on the route until the end of August could not back out from the basin in Bøjden as the risk of running into "Fynshav" was too great. Therefore, for about four hours there were no sailings on the route until 2 p.m. The problems apparently have not been resolved yet, further sailings had to be cancelled later in the day.